Are you a player with a vintage amp? You know, the kind that came out before vibrato and reverb were added? Maybe you tote a verb-less head and cabinet around, but wish you had those features. 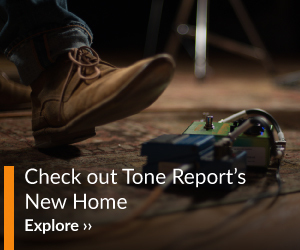 Perhaps you want a pedal with some features we all know and love, but that will let you take them to a new level. If so, have I got a pedal for you! The Sinusoid by Gurus is a handmade Italian guitar pedal. 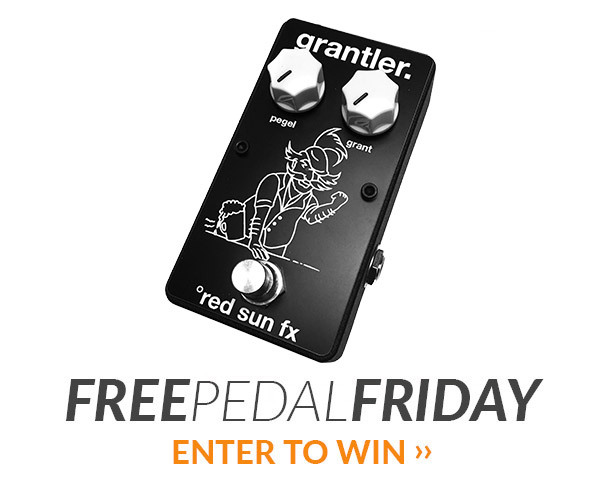 This is a large pedal at approximately 8.5-by-five inches. Aesthetically, it is a beautiful piece of work—a five sided, black metal frame with a black acrylic top, a clear window showing a vacuum tube, matte silver knobs and switches, and two “Magic Eyes.” Have I sold you yet? On the back is a 9–12-volt DC input; the instructions indicate that there are current requirements of 400 milliamps running at 12 volts, so it's important to keep that in mind while powering. Of course, the higher the voltage, the higher the headroom. The instructions also indicate that the remote switch jack is there to place your Sinusoid away from the pedal board to prevent it from introducing noise. I plugged the Sinusoid in to my amp's effects loop and used a nine-volt adapter offering 400 milliamps of current. The controls for the “Vibro” channel are on the left, “Reverb” on the right. The Vibro channel offers intensity and speed controls, whereas Reverb has a reverb and a volume control. I would liken the intensity control to a depth setting. The reverb knob seems to increase or decrease the amount of reverb, and the volume knob controls how loud that reverb is in the signal. When I first “stomped” on the reverb switch, I learned something important about this pedal. It is sensitive. That's because it contains a real spring reverb tank! If you hit the pedal hard, it impacts the springs and causes noise. This caused me to investigate a bit further, and I found that the switches are not the typical, mechanical, locking, stomp switches most pedals have. These are more akin to the switches on a digital multi-effects unit. They don't need to be depressed with any aggression. A light pressing will engage or disengage the effect. As I strummed and picked, the Magic Eyes lit up at varying degrees of intensity, depending on the intensity of the playing. It is kind of fun to get that bit of feedback. More fun, though, are the sounds that come out of this pedal. Think back to the ‘60s American amps with vibrato and reverb—the Sinusoid can certainly give you that feel by being judicious with the controls. However, getting beyond the halfway mark on any of the knobs gets really interesting. For example, with the Reverb nearly maxed and the Volume at 10, I got a very sitar-like sound. I tailored some of the Vibro into the mix, and it became rather convincing. Sure, the Sinusoid just looks cool, but it really performs well. Gurus did not just take a feature set of old and put it into a fancy looking box. The Sinusoid can give you some of those standard sounds, if you want it to, and do it very well. It also opens up some possibilities for sonic exploration. The only concerns with the Sinusoid are whether it will play nice near other pedals, and it is a good thing that the manual provides a warning in that regard. The instructions are not clear as to what sort of switch will work for remote control, so more detail on that would be nice. If you do choose to put the Sinusoid on the floor near your other effects, be sure not to stomp on the unit hard, or you and your audience may be treated to a rather unpleasant bang.